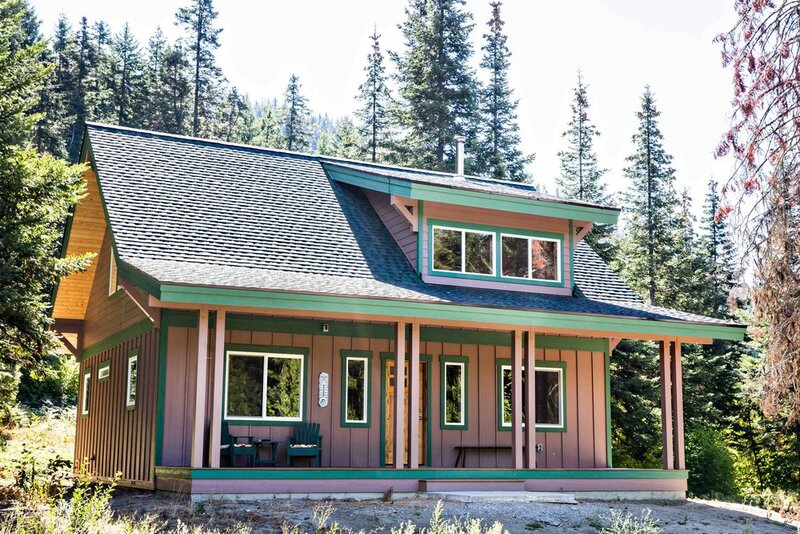 A peaceful mountain escape with a cozy interior and modern amenities. 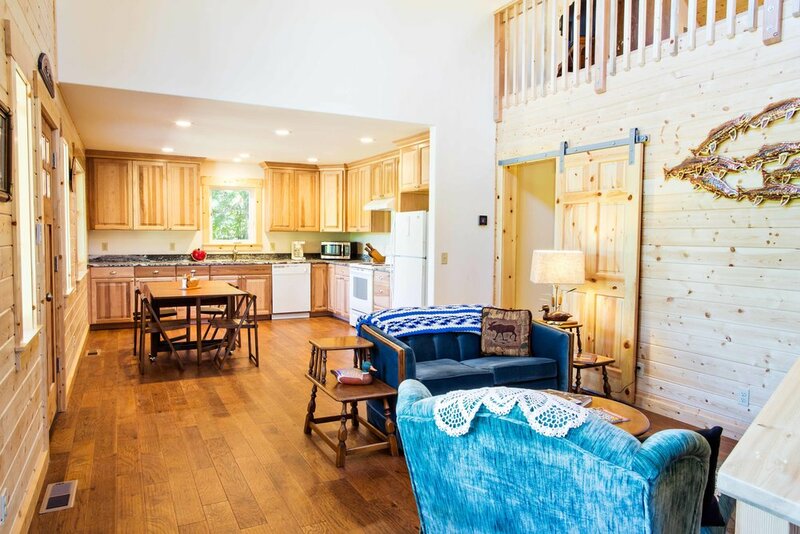 This cabin has an open concept main living area including, the kitchen, dining room and sitting area. 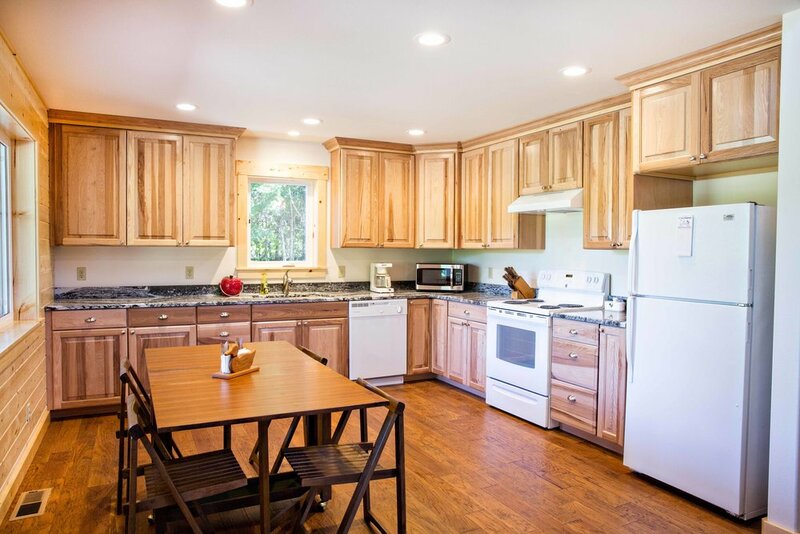 It has two bedrooms, one bath and a large loft for extra entertaining space.